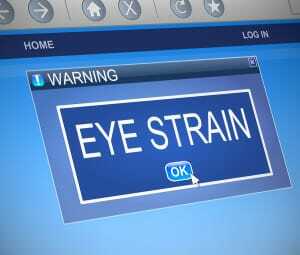 In past decades, eye strain was a far less common condition than in current society. The problem was generally only found in people with occupational hazards of close-up work. Thanks to the trend of 24/7 technology, today’s story is significantly different. Here’s what you should know about preventing and treating this troublesome eye health hazard. The increasing use of all things technology is a major contributor to the occurrence of eye strain, found across multiple generations. Smartphones, tablets, Google Glass, e-readers and portable video games force you to hone in on a very close screen. To amplify the problem, people are so zoned in on this close-range object that they fail to look away and let their eyes’ lenses flex and relax. 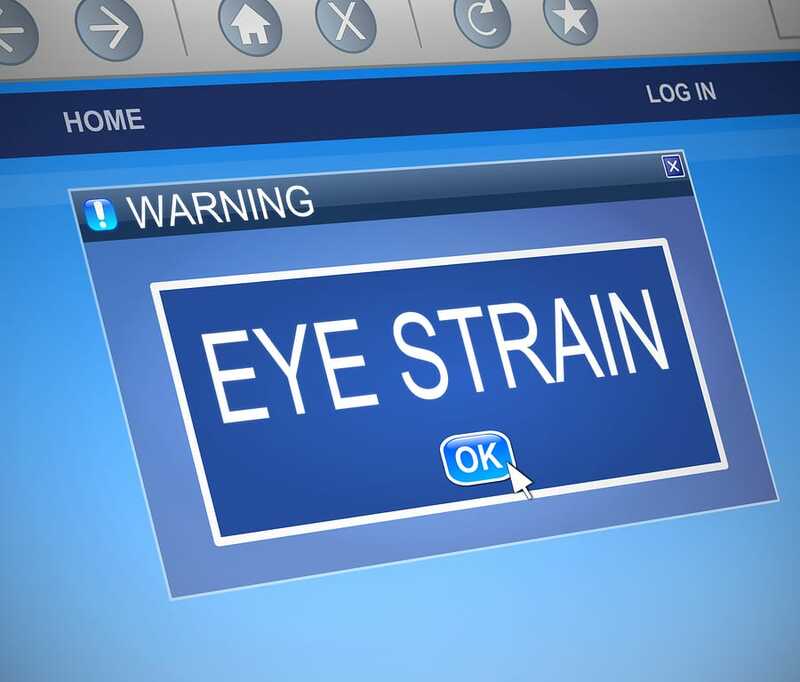 If you’ve ever backed away from your computer and felt the need to rub your eyes, chances are that you’ve suffered from eye strain. Burning eyes or eyes that feel very tired are common sensations after focusing on a screen for too long. You may develop a headache or migraine or feel your back and neck becoming stiff and sore. After too long of a screen session you may feel as if you can’t focus well. A simple way to help prevent eye strain is to follow the 20/20/20 rule. For every 20 minutes of close-up or screen work, look at an object 20 feet away for at least 20 seconds. This allows your eyes to relax and reduces the chance of digital fatigue. You can even get an app to remind you to take your 20/20/20 break! Shutting down electronics at least an hour before bed and making sure you are getting the best quality sleep possible is important for your eye health. You may also need to make modifications to your work environment to ensure good lighting and properly positioned screens in your workspace. Your eye doctor may recommend filters for your monitor or glasses that reduce the glare from your screen. Digital fatigue is a very real issue. Give your eyes a break from technology as much as possible and talk to your optometrist about other ways you can reduce eye strain.